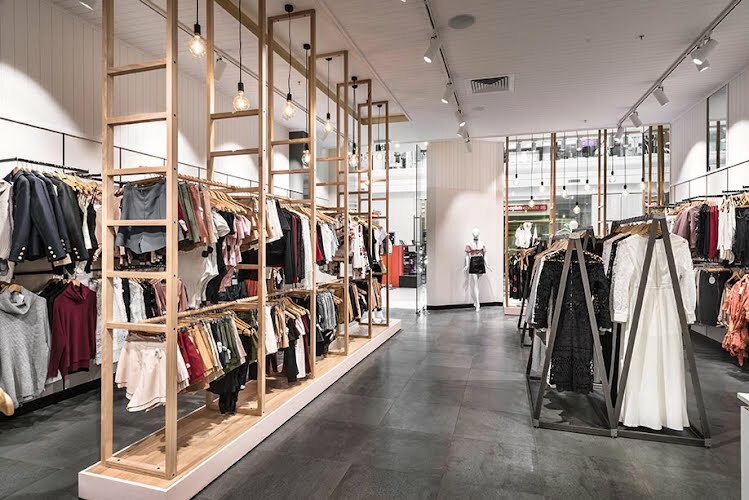 Retail interior design, project management, joinery. 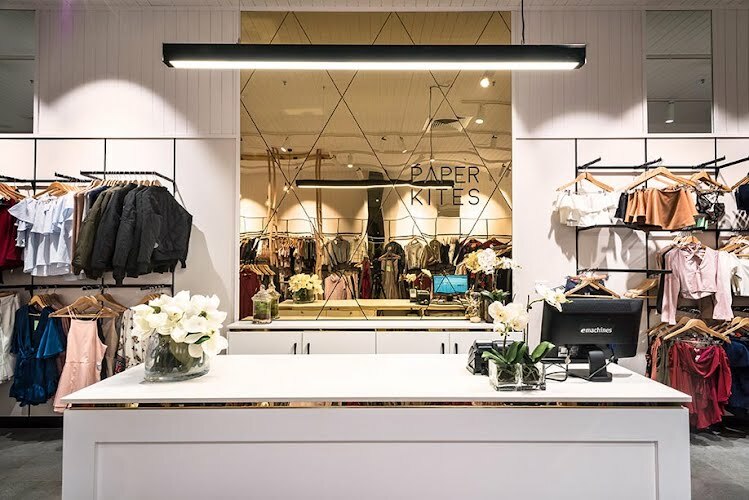 The warm and welcoming atmosphere of Paper Kites at Eastland was exactly what the client was looking for. 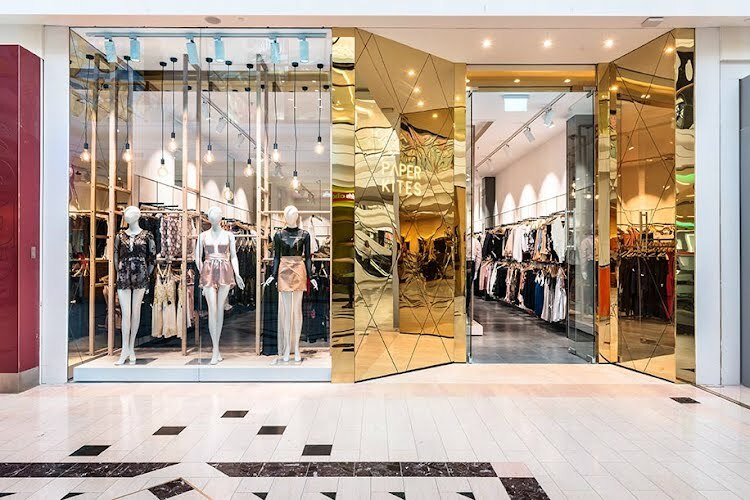 The shopfront and POS wall features a custom pattern of Rimex coloured mirror stainless steel. 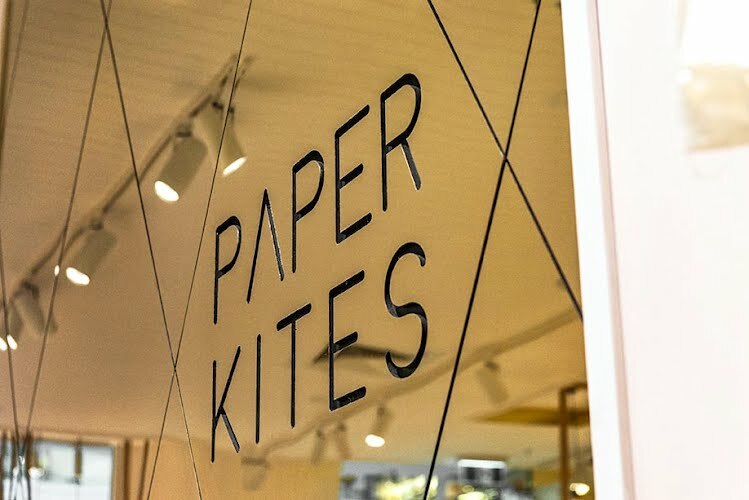 The ‘diamonds’ being a playful take on a paper kite shape. 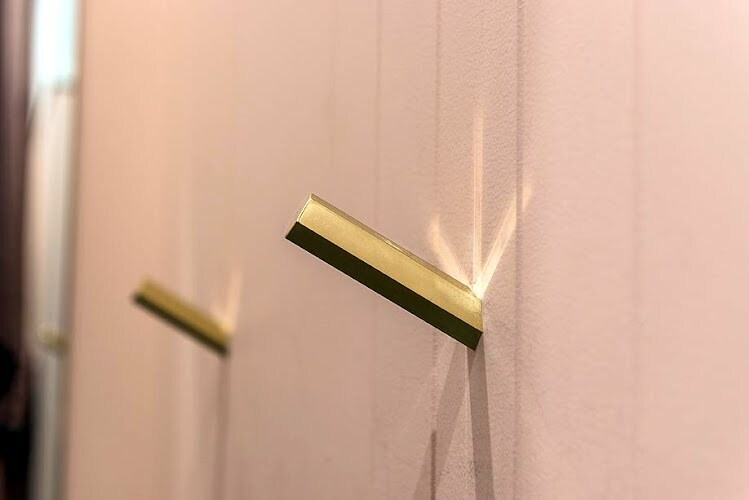 The gold is then carried through into trim details and hex brass dressing room hooks that were made by Moth. 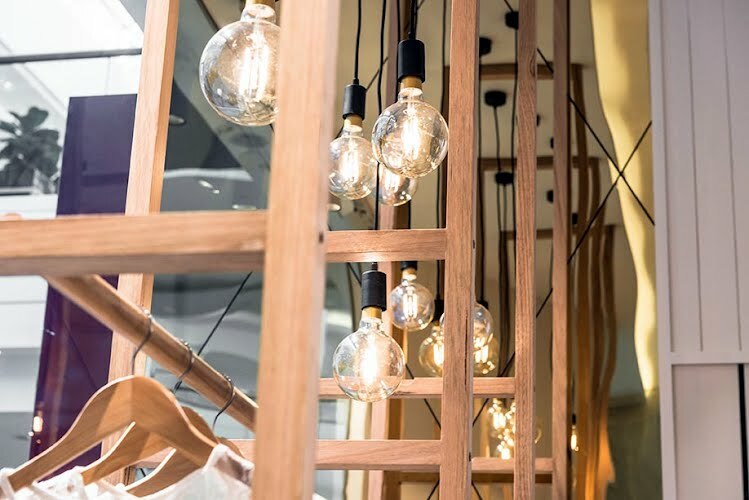 Moth also designed and built the two full-height hardwood ‘ladder’ joinery and plinth base units. 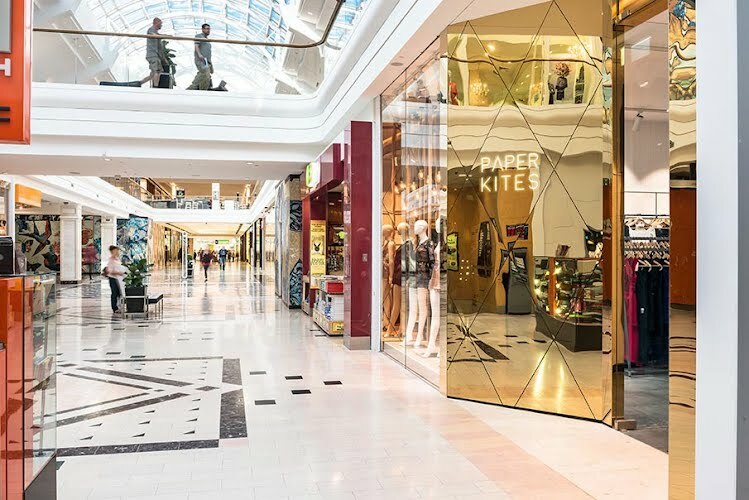 The shopfront ladder joinery acts as a screen with views through to the store and the long five bay version draws customers down the length of the store.